The image is of a red pattern. The font color is a bold white. Our bookmarks are printed in high resolution and laminated for a long-lasting finish. They are water resistant and durable. These bookmarks feature beautiful, bright colors that are sure to get noticed. Our designs are unique. Many of our designs are featured on our buttons and stickers. 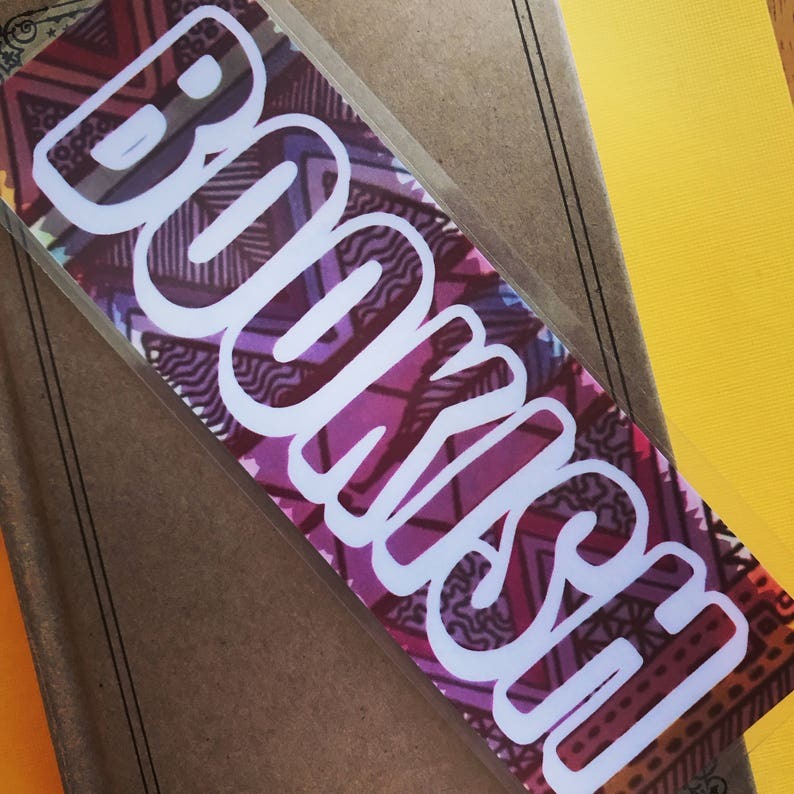 We can also create custom bookmarks, just ask! Dimensions: 2 x 6 inches (5.08 x 12.7 cm) - Standard bookmark size. •Only pay one shipping cost. Everything else ships free in the United States. •Giving this as a gift? Leave a note in the comments and we will include a note with the order! It's surprisingly hard to find great bookmarks these days. I love the classic style and thoughtful quotations. They arrived quickly, and were beautifully packaged. A great buy!